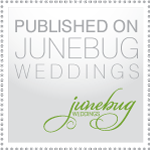 Peach, apricot, white and ivory were the wedding color palettes. The place was covered with greenery so that guests would experience the feeling of being in an enchanted garden. The place was incorporated with custom brooches, imported tea tins and lace from Europe as well as vintage vases. Enchanting! Favors: Picture frames – Gilt, Hennessy – Bevmo!